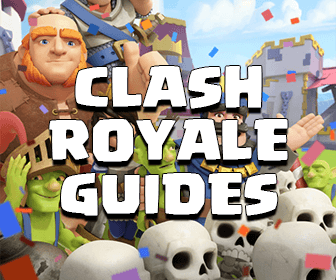 Over the last couple of weeks I have been noticing a hefty amount of people in my clan, and also even on YouTube, that have discovered a new way to get lots of Dark Elixir in just one sitting on Clash of Clans. I have absolutely no idea where this strategy came about or who first discovered it, but I have to say that it works fantastically if done correctly. 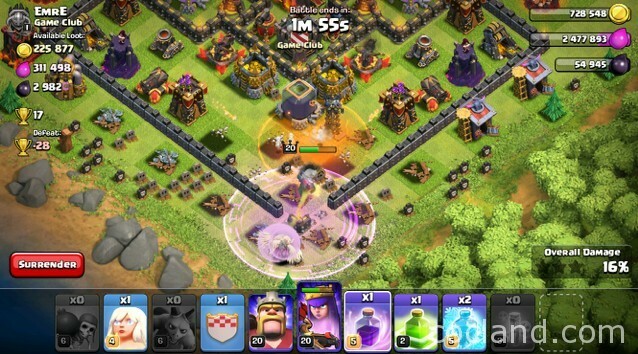 This new strategy to farm Dark Elixir uses your Archer Queen and a bunch of Healers. I’ve noticed people using between 8-10 Healers at a single time on just your Archer Queen, I personally think that 8 is plenty. Minions are also used to clean up some of the trash builds along the outside of the base to help from distracting the Queen, but I’ll get into the complete army composition in a little. 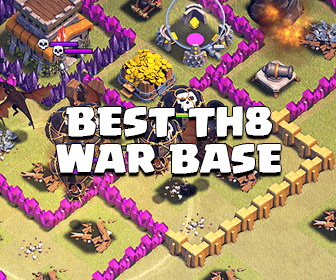 Typically when using this attack you are supposed to search for a base that has about 2,500 available for the taking. More specifically from the Dark Elixir Storage because the Drills are usually scattered around the base. 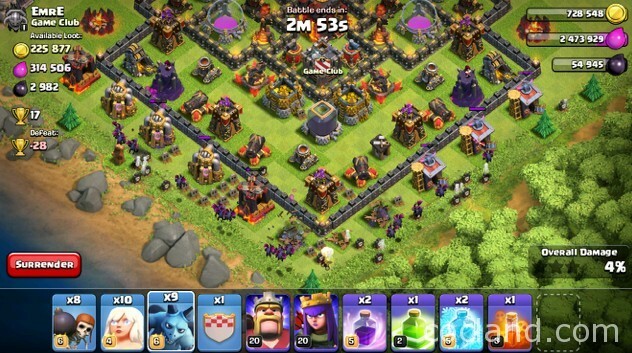 Also you want to make sure that the Dark Elixir Storage will be accessible to attack. If it is completely hidden in the base and you think your Queen wont be able to reach it just search for a new one. The Healers and the Queen work absolutely perfect together. It is best to place your Queen down by one of the air defenses so she targets it first. THE Healers WILL NEVER BE IN RANGE OF THE AIR DEFENSE WHEN THE Queen IS TARGETING IT. The Healers are just out of range of the air defense, which makes this attack strategy supper effective. It is not meant to destroy the entire base, there simply isn’t enough time, but it is perfect for specifically targeting loot. Another thing that I have noticed is that this strategy pretty much works for any level Archer Queen. I have seen a replay of a kid in my clan using this strategy with a level 8 Archer Queen and consistently steal 2,000+ from his opponents. That is how powerful this attack can be. Like I mentioned earlier this competitions main focus is the Archer Queen with the majority of your army camp being filled up with Healers. Below I will give an exact rundown of the troops, but for now I’m going to give each troops contribution to the attack strategy. I would not recommend using any less than 8 Healers at a time. With that said you also don’t need to exceed 10, it mainly depends on the level of your Queen and the level of the defenses on the village you plan to attack. Just use your best judgment with exactly how Healers to use at one. In my army camp I might bring 10 with me (from 2 in each army camp) but I would only deploy 8 of them leaving me a couple for my next attack. I would also highly recommend bringing maybe 8 Wall Breakers with you (2 in each camp) or maybe 5-6 instead. With the new arch Queen AI she rarely chooses to target a wall to enter the center of the base. The use of the Wall Breakers will allow her to target buildings in the center of the base and not run around the entire perimeter. Lastly the Minions, simply just fill the remaining places in your barracks with Minions. I suppose you can replace the Minions with archer or barbs or whatever else you choose, but Minions are cheap and deal a lot of damage. This is my exact troop composition. I am a Town Hall 10 and I have maxed army camps so I am able to have 240 troops with me. Because of this I found 10 archers, 8 wallbreakers and 42 Minions a good combination. As you can see I also have some rage spells and a jump spell with me. These are actually the spells I am bringing to war with me, but as long as there’s a jump spell and a rage spell everything should go smoothly. If you are a Town Hall 9 and can only bring 220 troops I would suggest 10 Healers 8 Wall Breakers and 32 Minions. You could also take 2 less wallbreakers and substitute them for Minions, but the 2 extra Minions won’t make a significant difference. It is best to mix and match your troops compositions to see which one you care more comfortable using. You may realize that you need more wallbreakers than you though you needed, or maybe you would rather substitute some Minions for another Healer. The choice is yours. I would recommend having at least one Jump Spell handy for each attack. That doesn’t mean that you need to use it each and every single attack, but if the Queen starts to wander in a direction you don’t want her to go the Jump Spell will help redirect her. Also it would be important to have a rage spell just in case. Oddly enough the rage spell should mainly be used on the Healers. Sometimes you will find yourself in a situation where you either lost a few Healers or you have a bunch of defenses targeting the Queen and the Healers just can’t keep up. The Rage Spell increases the amount of health points given to the Queen, filling up her health bar quickly and keeping it there for the duration of the spell. 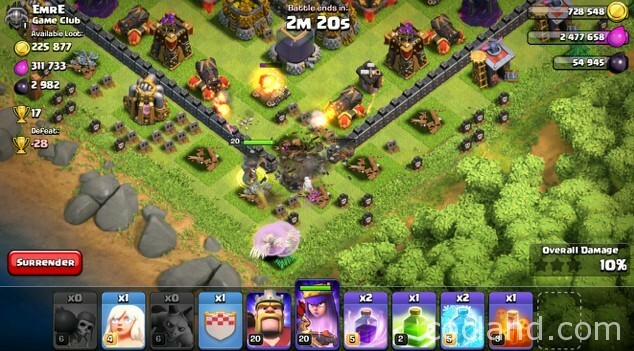 Like I mentioned earlier as to what to look for when using this attack, you want to make sure that the base you are attacking has a decent amount of Dark Elixir for the taking. You also want to make sure it is accessible. I lucked out in my example because the Dark Elixir storage was only behind one set of walls. I used my Minions to take out the trash buildings along the bottom corner of the base so that my Queen would start to funnel towards the middle. Once the buildings are clear place your Archer Queen down where you think is best appropriate. 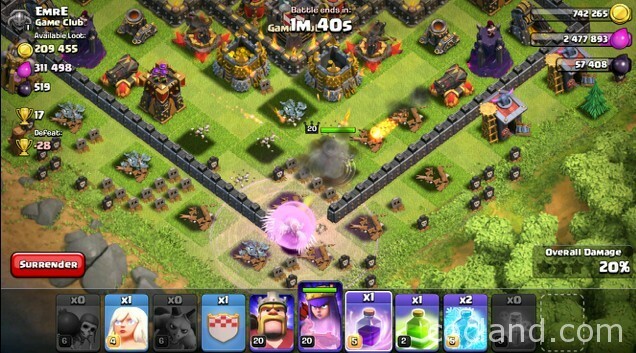 There were no air defenses anywhere near the Dark Elixir so I didn’t have any issues. However if an air defense is in your way and close to the outside, just head straight for it. Immediately drop your Healers behind the Queen to keep her at full health. I used 9 of my Healers because I was going against a base with powerful defenses. Following the Healers, wait for the most opportune time to drop your Wall Breakers. You may have to wait between mortar or wizard tower shots to deploy your Wall Breakers so they don’t get destroyed before reaching the wall. Sometimes it is necessary to drop a Jump Spell to redirect the Queen, or a Rage Spell to assist the Healers with healing the Queen. When I deployed my Queen I needed the assistance of a Rage Spell to keep my Healer alive. I had 4 maxed level defenses shooting at her, and a second X-bow about to target her. I also had a Poison Spell handy for this persons clan castle troops. As you can see I paced my rage over both the Archer Queen and the Healers. I did this because I wanted to give the Queen a little damage boost to push through some of the defenses, but also because I knew the Healers would continue to stay in the Rage Spell even after the Queen was out of range. Like you can see in the picture below. As you can see from the picture before this one, my Queens health was going down. So it was necessary for me to drop the heal spell in this situation. 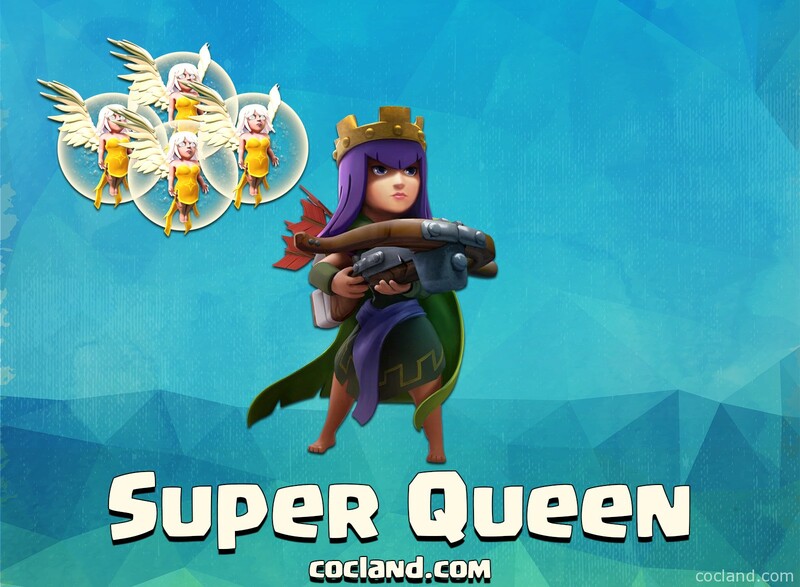 You could also activate the Queens ability and she will get to full health. But I wanted that gold as well, so I felt the rage spell was necessary. You also should watch this video from Ash, he used the Earthquake Spells instead of Jump Spell very skillful, this is another perfect idea when playing with our Super Queen! There is really nothing left to do but wait and watch your Queen tare apart the opponents base. After you reach the Dark Elixir you may want to end the battle (unless there is more loot near by that you want) to keep your Archer Queens health as high as possible. Well I hope this guide on the Archer Queen Healer strategy which was written by Collin is helpful and informative. Let me know if you have tried this strategy before and if you think it is successful or not. I think it is really interesting that this strategy just randomly started to become popular over the last couple of weeks. If anyone knows its origin I would be interested in hearing! Clash on!